Surface temperature: How much heat can the material retain? 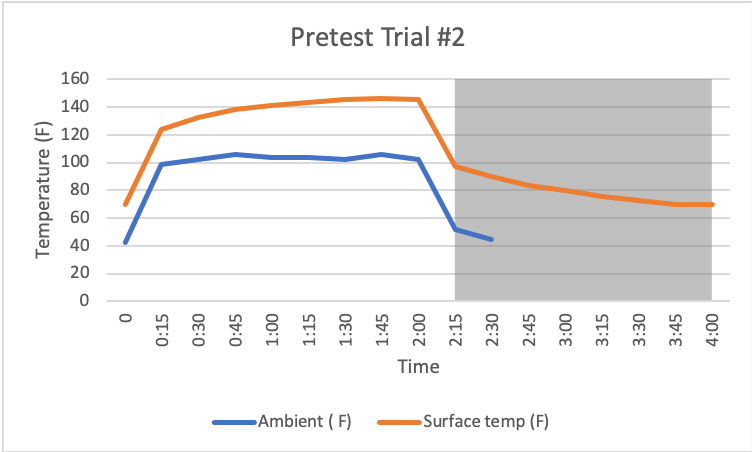 Ambient temperature: How much heat can the material reflect? 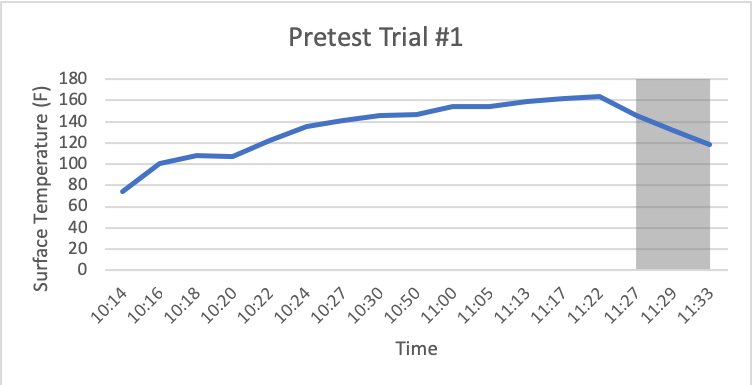 Materials are set in the testing chamber and left to precondition for at least an hour with data collection prior to experimentation. Switch out material and repeat steps from beginning. Temperature data will be adjusted to show change in temperature.